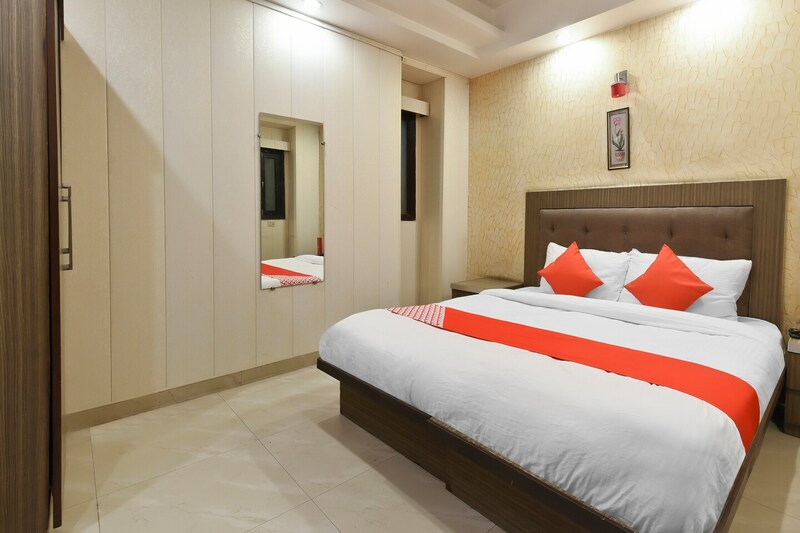 Hotel Sunrize is a contemporary property with spacious and well-lit rooms, located in Sector 15, Rohini, North West Delhi. It is close to Japanese Park and ESI Hospital. All the rooms in this hotel are well designed and spacious, with ample lighting and trendy wooden furniture. The bathrooms are also fitted with stylish fixtures. The rooms come with AC, TV, mini fridge and seating area. There is an elevator on the premises and facilities like power backup and card payment system are available. The hotel is close to eateries like Midnight JUNK-TION, Bonfire, Punjabi Chaap Corner, and Chicken Khurana.